This is a small guide on How to fix Kali Linux apt-get slow update. Kali is relatively new and got fewer Mirrors than some other distro’s. That means less servers to download from and less servers means more people trying to download from them and using all bandwidth. So when you type in apt-get update, you see a slow download speed for packages. This just means you’re connected to a server that’s really busy. Some users complains that nothing happens or they are not getting any updates at all. Some got different issues like update stuck is header and doesn’t move any further. Remove unwanted or unsupported repositories. Choose a fast DNS server. To fix sources.list, follow this guide: How to add official Kali Linux Repositories? Following two are Google DNS, let’s face it, if Google is broken, we all think Internet is broken. Hence the reason of using Google DNS. 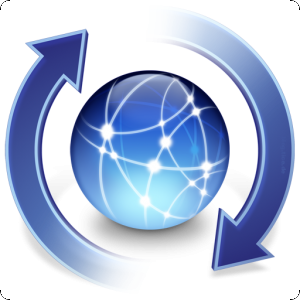 You can choose other DNS Server if you want that are fast and reliable. Let put our changes to the test.. Your download speed should be a lot better than you were getting previously. One of the readers advised that by changing the repositories from HTTP to REPO, he gained significant speed up. This change seems to boost speed as it uses slightly different repo than the usual HTTP servers which are overloaded. Let us know how this worked for you. In case your sources.list file is messed up or you’re just not sure, what to put on there, follow these instruction’s to add official Kali Linux Repositories. In case your DNS server is picking up (even Google’s DNS server) a repository from a different country(or avoid a specific country) and you would like to manually switch repositories to a different mirror of your choice(say in same country or just something you know working faster, follow these instruction to change repositories to a different mirror. Thanks for reading. Please comment your experience to make this guide better. If you’ve found this useful, share and follow us on Facebook/Twitter. Next articleHow to add official Kali Linux Repositories?